WILL BEEMER: Will Beemer is a founding member of the Timber Framers Guild (www.tfguild.org) and served as Co-Executive Director for 11 years. He's been a builder for over 40 years, and an educator in the building trades for thirty of those. 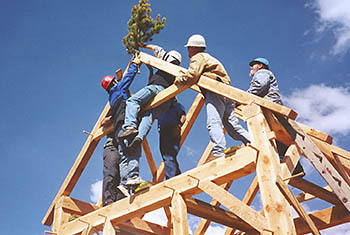 Along with his wife, Michele, he owns and operates the Heartwood School for the Homebuilding Crafts in Washington, Massachusetts, which has been teaching courses in timber framing, home building and other trades since 1978 (www.heartwoodschool.com). Will has taught timber framing around the world, including Patagonia (with Rocky Mountain Workshops), at Palomar College in California, North House Folk School in Minnesota and numerous Guild workshops and projects. 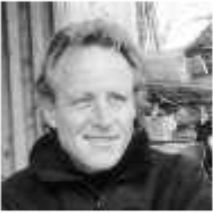 He has authored many articles on basic and advanced timber framing techniques and is a regular contributor to Timber Framing (the quarterly journal of the Timber Framers Guild), Fine Homebuilding, and has also written for Wood Design & Building and Joiner's Quarterly. SKIP DEWHIRST: A furniture maker and timber framer, Skip has been actively pursuing his passion for woodworking and teaching for over thirty years. He was introduced to the joy of crafting beautiful things by hand at a young age by his grandmother. He is fulfilled by helping others realize the sense of accomplishment that comes from making something beautiful and strong. When not designing and building timber frames or teaching, Skip can be found building custom furniture and guitars in his shop in Worcester, VT.
GLENN DODGE: A life-time resident of New Hampshire, Glenn grew up playing and occasionally working on a dairy farm in the little town of New Boston that his family has operated since the 1920’s. As a child he fell in love with the many old timber framed hay barns on the property and then worked building log homes to get through college, graduating from New Hampshire Technical Institure with an Engineering degree in 1987. He started designing and building timber framed structures shortly thereafter and in 1993, began studying and modifying the French Scribe system into what has become Plumb Line Scribe, and now uses it exclusively. He has taught many workshops on Plumb line scribe and snap line square rule including the octagonal Knob Mill barn in Milton NH, and most recently at the Geo-Scribe workshop in Fort Collins in October of 2010. Glenn is still living happily in New Boston with his wife and three children and is excited to return to the Colorado State University Mountain Campus where he attended an engineering workshop in 2001. CHRIS DRAKE: Chris' love of building began early and led him to study civil engineering and construction management as an undergraduate at Colorado State University, as well as structural engineering as a graduate student at the University of Minnesota. After earning his Masters Degree in 2004, he worked building log homes in Western Colorado for a year before moving to Denver where he joined a local structural engineering firm and earned his Professional Engineering License in 2008. Since that time, Chris has had the opportunity to pursue his long held passion for timber framing, which has included completing multiple courses through Rocky Mountain Workshops and the Heartwood Apprenticeship. He recently became the first graduate of the Timber Framers Guild Apprenticeship Program while working for Frameworks Timber in Fort Collins, CO. Currently, Chris serves on the Timber Framers Guild Apprenticeship Training Committee and enjoys any opportunity to help others learn how to build well. NEIL GODDEN: Neil Godden received his degree in Civil Engineering from the University at Buffalo in 1996. Combining his love for wood with his engineering degree, he discovered timber framing. Neil then worked as an apprentice under master builder, Jack Sobon, using only hand tools for 3 years. Neil has designed and crafted many timber structures, including sheds, pavilions, homes, and large barns. Neil harvested timber from his own property with oxen to build his timber frame home. He lives in western Massachusetts with his wife and their two children. Neil enjoys co-teaching the Cruck Framing class with Jack Sobon at the Heartwood School in the Berkshires. He was also an instructor for the Timber Framers Guild, Long Island Bayles boat shed project a few years back. CHRIS KATES: Chris Kates found his passion for timber framing in college while pursuing a degree in Construction Management. He has worked as a professional timber framer since 2001, with his most recent experience working as production manager for a large timber framing company in Fort Collins, CO. He is a member of the Timber Framers Guild (www.tfguild.org) and has participated and taught several Guild events and workshops. Chris enjoys teaching others the basics of timber framing. If you can’t find him in his wood shop, he is out on the trails on his mountain bike or paddling a canoe with his wife and dog. Chris now operates “Tall Pine Woodworks”, based in Fort Collins, and specializes in all types of woodworking, including furniture, general carpentry, and timber framing. PETER HANEY: Peter has been a builder and woodworker for over twenty five years. The founder and workshop organizer of Rocky Mountain Workshops, he has travelled the world organizing building workshops and bicycle tours. Peter is experienced in both timber framing and log building. Peter lives and works in Fort Collins, Colorado. LAURIE HUCKABY: Laurie Huckaby is an Ecologist at the USDA Forest Service Rocky Mountain Research Station in Fort Collins, Colorado. She has a Masters degree in Forest Ecology from C.S.U., and specializes in using Dendrochronology (the science of tree rings) to reconstruct climate effects and historical disturbances such as fire and insect outbreaks in Rocky Mountain forests. Most recently she has become interested in the influences of Native American land use in historical fire regimes and dating the scars left by their peeling the bark from trees. She has been at the Station for 23 years, working most recently with Dr. Jose Negron, and her family has been in Fort Collins since the 1870s. JOSH JACKSON: Josh received his BSME from Yale University in 1989 and, after a brief stint in the real world doing energy efficiency work at PG&E in San Francisco, discovered the Holy Grail of timber framing as an apprentice at the Heartwood School in 1992. He has been designing and building everything from lamps to timber frames since, specializing in organic shapes and materials. Having co-founded Timber Homes LLC, Josh now lives in one of his own with his wife Geraldine in Middlesex, VT, and continues to enjoy teaching at RMW, Heartwood, and Yestermorrow as well as designing and crafting fine frames and furnishings. JOSE NEGRON: Dr. Jose Negron is a Research Entomologist with the USDA Forest Service, Rocky Mountain Research Station, headquartered in Fort Collins, CO. His research interests include the biology, ecology, and management of Western conifer bark beetles, including interactions with fire and other disturbances, as well as the impact humans have had on this ecosystem. He has been conducting research in this area for twenty years. During this time, he has also mentored many graduate students and offered invited lectures to a variety of courses at Colorado State University and the Front Range Community College, Fort Collins, CO. Jose is a native of Puerto Rico. JACK SOBON: Since 1976 when Jack was first introduced to timber framing while dismantling, repairing, and re-erecting 200 year old barn frames for houses, his life has been dedicated to understanding and bringing back the craft. In pursuit of this goal he has crafted more than fifty timber framed structures exclusively by hand and often right from his own woodlot. Naturally curved shapes are a specialty. He has taught over 50 workshops since 1985 and has three books to his credit. He is a founding director of the Timber Framers Guild and the Traditional Timberframe Research and Advisory Group. As an architect, he is involved with both old and new timber framed buildings and lives in Windsor, Massachusetts with his wife and two daughters.